This pink beauty is courtesy of Pinterest….linked from the blog Passionately Raw! 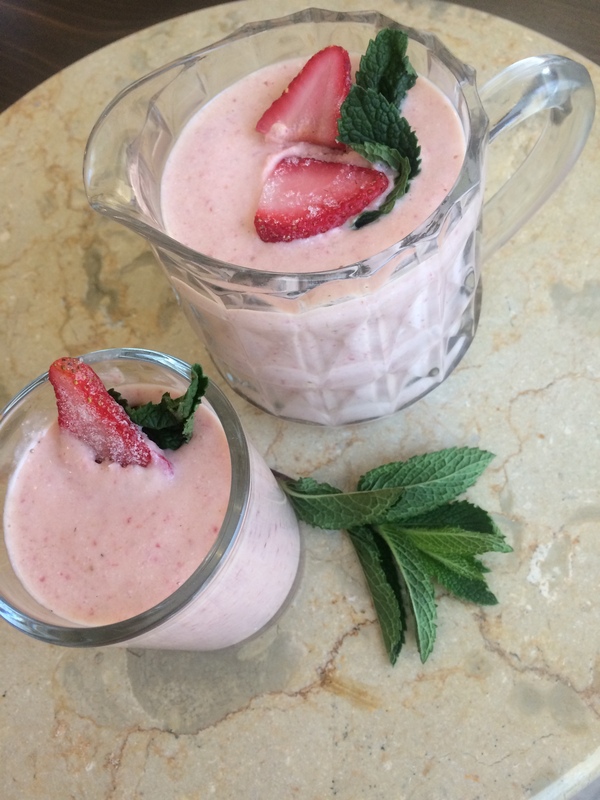 (Which incidentally has a mouthwatering Valentine’s Day smoothie recipe you may enjoy). Link to recipe is below, pictures and modifications are mine. Before I stumbled on this recipe I would have NEVER dreamed of adding radishes to a smoothie. The original recipe includes 1 cup strawberries, 1 frozen banana, and a few whole radishes, greens and all, plus alfalfa sprouts. I had neither the radish tops nor sprouts in the fridge, but I did have a couple forlorn watermelon radishes from my CSA (hence my idea to test out this specific recipe). I imagine the greens would add an extra oomph in terms of the peppery radish kick. Liver detoxing never tasted so good. Also, I made a couple other changes. Per my initial guidelines (which you can read here, along with another yummy smoothie), Crispy Cupboard smoothies must include 20+ grams of protein and a dose of healthy fat. So, being the recipe tamperer that I am, I added a half-cup 2% cottage cheese (I like this brand because it has no additives) and a generous spoonful of sunflower seed butter (peanut/tree nut allergy sufferers, rejoice, this stuff is reeeeeallllyyyyy good!). The result was a rich and creamy pink revelation…that tasted almost like a MickeyD’s strawberry milkshake. And it starts the day off with fruit AND veggies. Yay bonus points!Will definitely make this again. Nutrition Breakdown: Calories: 355; Protein: 23g; Fat: 11g; Total Carbs: 46.1g; Fiber: 8.2g; Vitamin C :162% DV!!! 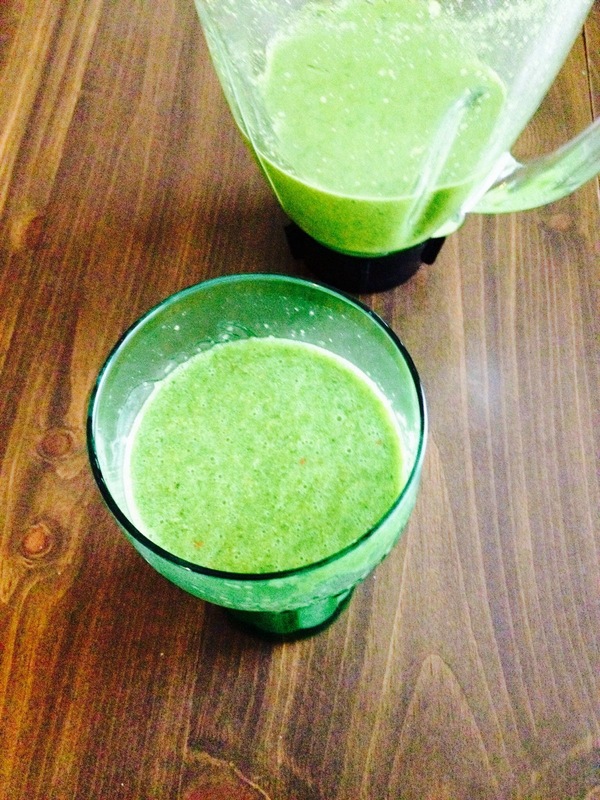 Spinach, apple, golden flax…and the secret super-ingredient…. I mean, seriously, there’s a gazillion and one green smoothie recipes out there…but I don’t suppose it hurts to add another to the pool right? 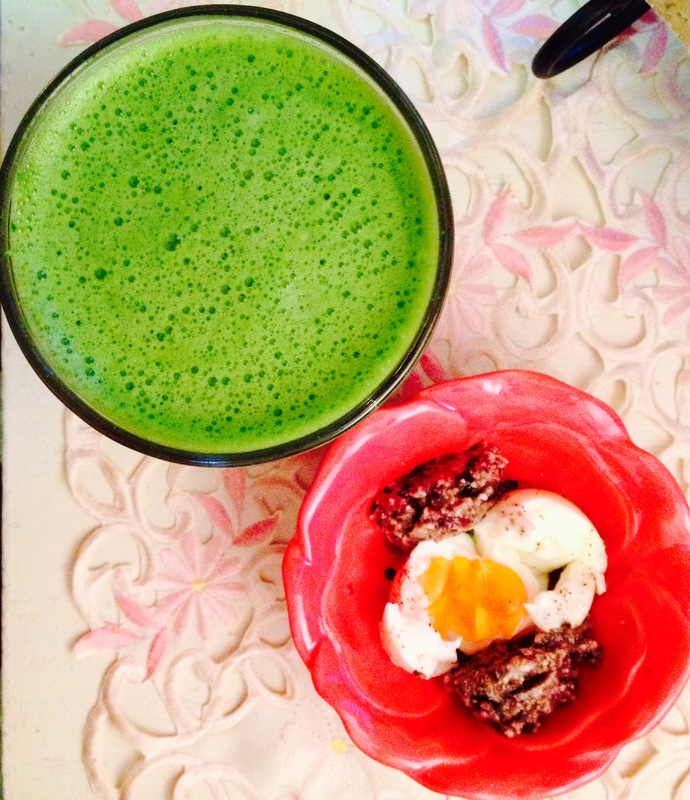 I bring you my signature green drink, powered by flax seeds and grass-fed gelatin. And that wraps it up for today! If you have a favorite recipe that you’d like to share in the comments, I’ll feature it in an upcoming post. Tune in next week for more smoothies! Place everything in blender with just enough water to cover. Process till smooth. Drink up! 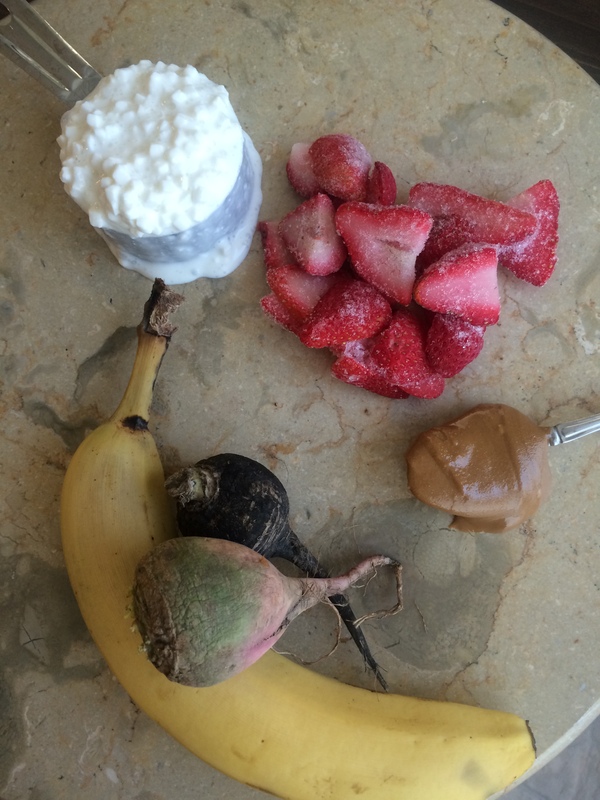 ← Coming soon…Saturday Smoothie Roundup!